Breguet complicated watches have a look all their own. From the case’s traditional fluted sides, to the dial’s exquisite decoration and finishing, to the movement’s sublime aesthetic and horological virtues, this automatic perpetual calendar with equation of time watch is super-star timepiece. 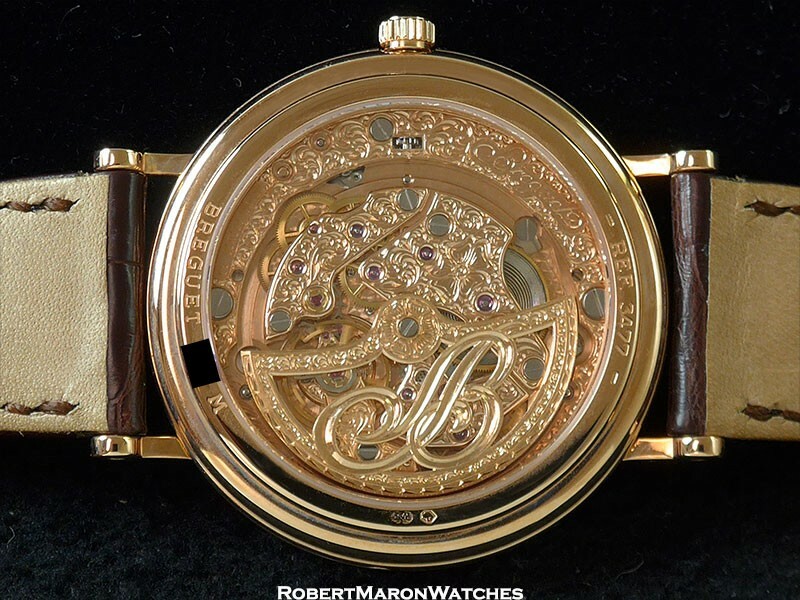 Case is 18k rose gold, 36mm diameter by 8.1mm thick, with sapphire front and display back crystals. 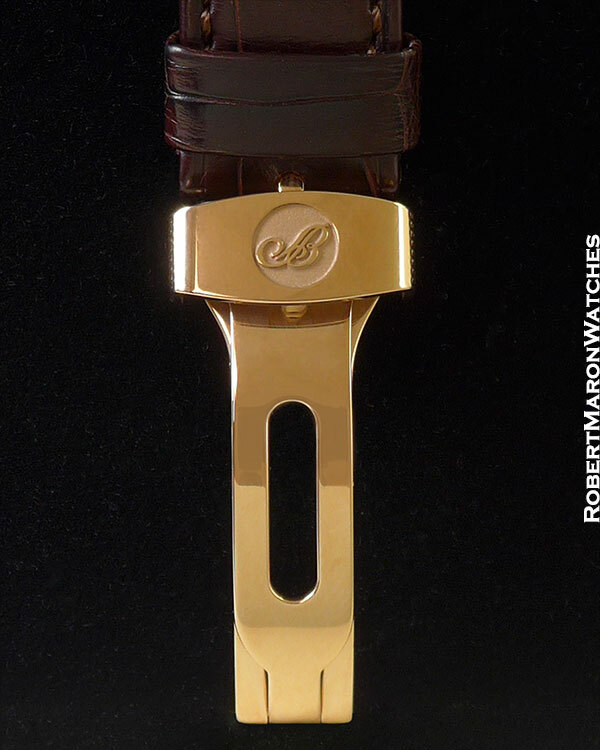 Sides are fluted, lugs are straight and the crown is signed. The silvered, solid gold dial on this Classique Complications perpetual calendar is extraordinary. All of the guilloche is hand engraved on a rose engine. Let me tell you, that it requires the work of a master craftsman to work at this level of detail with a perfect outcome. This dial is art. It features guilloche and brush finished surfaces. On display are day, equation of time, date, month, leap year and power reserve. 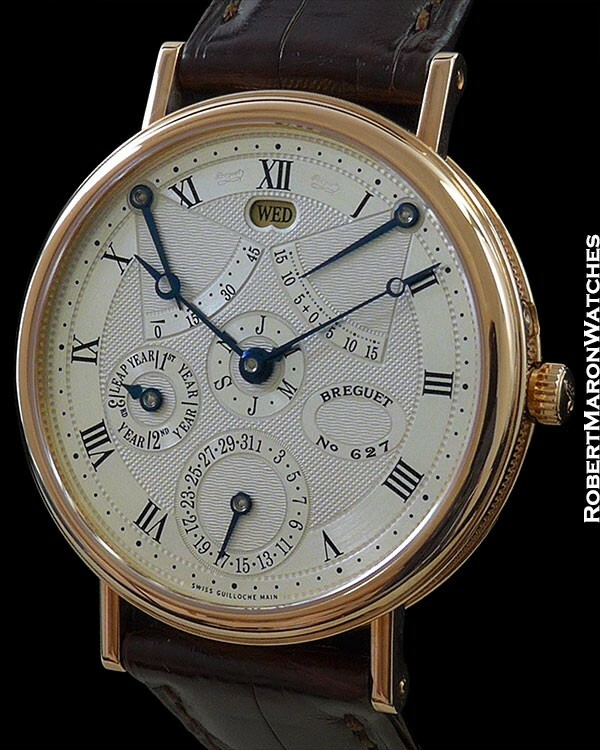 Hands are blued Breguet hands (also known as pomme hands). 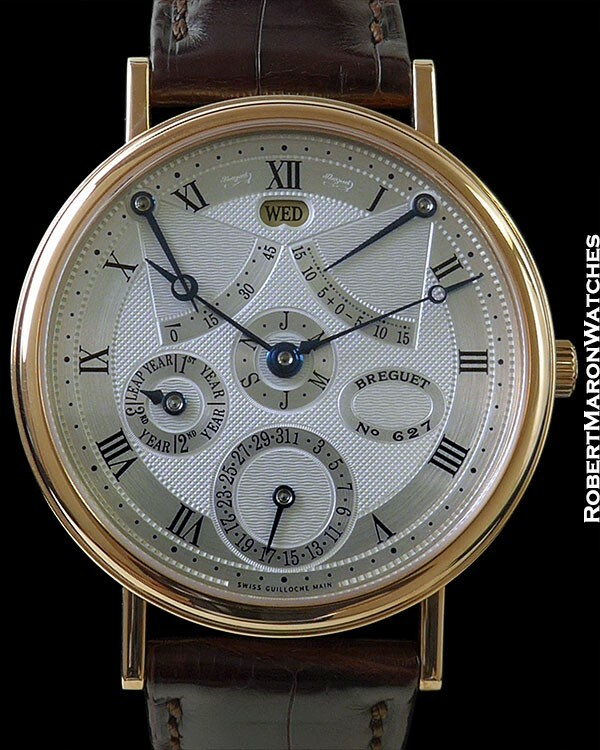 Automatic wining Breguet Caliber 502.3DPE1 with 38 jewels, 312 individual parts, and skeletonized rotor. The movement is ridiculously nicely hand decorated. 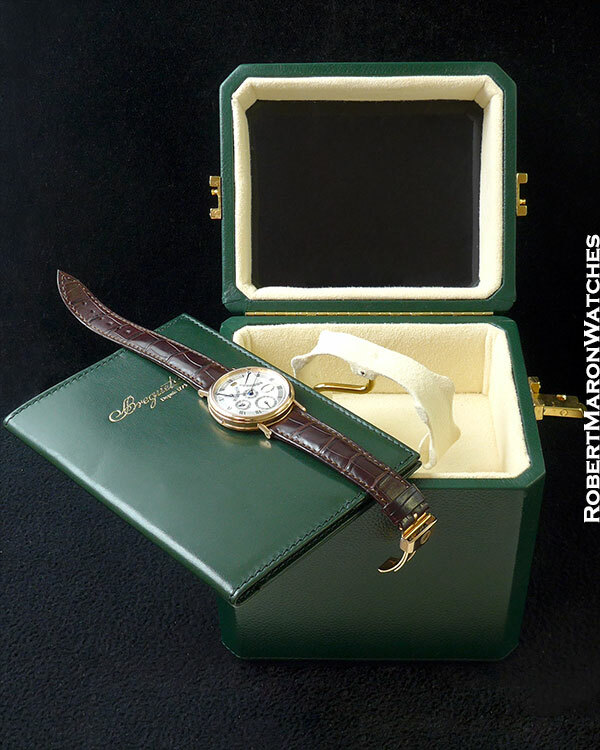 Breguet crocodile strap with 18k rose gold Breguet deployment clasp. Watch is new with box and papers.